The exteriors of the Tata Manza Club Class Petrol may not be as exciting as the other parts of the car are. However, Tata Motors has still managed to put in some new additions to make it unique. This vehicle comes in many new shades namely Tyrian Wine (with Black roof), Dew Pearl White (with Black roof), Castle Grey (with Black roof), Jet Silver (with Black roof), Laser Red (with Black roof) and Infinity Black (with Silver roof). The outer dimensions remain the same as the predecessor, with overall length, width and height being 4413mm X 1703mm X 1550mm, respectively . Also the gross vehicle and kerb weight of the car is in the range of 1575-1595kgs and 1100-1125kgs, respectively. Some exterior features include a bright chrome fender hood strip, seven speed smart front wiper, roof mounted antenna, steel wheels and clear lens headlamps. The Tata Manza Club Class Petrol has received a new and improved interior this time. The seats are full fabric seats and offer high levels of comfort without compromising the spacing. The dual tone of black & beige has been used as the interior colour scheme and it looks very neat and clean. A lot of storage spaces here and there have been provided for small things such as pens, coins, bottles , etc. Some other interior features include cabin lights, digital clock, power outlet in front, vanity mirror for co driver; tachometer with reverse indicator and many other small things also find their place in the car. Under the hood, the Tata Manza Club Class Petrol comprises of a Safire90 MPFI petrol engine. The engine capacity is about 1368cc which is definitely better than the diesel engine in the same class. Additionally, the maximum power output is about 88.74bhp at the rate of 6000rpm and the maximum torque output is about 116Nm at the rate of 4750rpm. The transmission system is of C549 type and has 5 + 1 gears with transmission type being manual. This engine has 4 cylinders and an intelligent port resiser . The Safire90 engine is capable of delivering high speed along with great fuel economy too. This ultimately reflects that this is a new class of car, the Club Class for sure. The braking and handling system is very impressive and performs very responsive as well. The front suspension comprises of a McPherson strut with coil spring and lower wishbone which is also independent. And the rear suspension comprises of semi-independent twist beam and coil springs and also has hydraulic shock absorbers. The suspension system performs very well with the front brake being ventilated and rear brake being drum . And the brake type is the vacuum assisted independent dual circuit diagonal split. Both these systems are controlled very well with the power assisted steering wheel. The steering wheel is of the rack and pinion type with hydraulics and provides a decent turning radius of about 5.1m. The wheels and tyre types are 5.5J X 15 and 185/60 R15, respectively. The Tata Manza Club Class Petrol comes with many safety and security features installed. The collapsible steering is a good addition and so is the central locking in the car. In addition to that, the high mounted LED stop lamp works very efficiently and provides a good amount of visibility to the other drivers to prevent any accidents. The engine immobiliser acts as an anti-theft system for the car and is also a good addition. However, the downside of being the basic model is that it doesn’t have the most important braking component that is the ABS (Anti-lock Braking System), any airbags , belt pre-tensioners, and other high end safety features are missing. The Tata Manza Club Class Petrol is pretty neutral when it comes to the safety of the car. Tata has done a lot of impressive work in the comfort area in the all new Tata Manza Club Class Petrol. The interiors feels more spacious than ever and beautiful also. The air conditioner with heater is of very good quality and performs very efficiently. The front windows are power windows but the rear isn’t. For more comfort, the headrest can be adjusted as per driver’s choice and the lumbar support for driver and co driver is fixed. Also there are some small things such as boot lamp, bottle holders, and cabin lights which provide great convenience and comfort. But the absence any sort of audio payer, or any infotainment options really disappoints. Even the armrest, tilt adjustable steering, climate control are absent which is just insult to injury . The value for money, great interiors and safety features. No change in exterior whatsoever over the previous models, lack of basic features such as audio player, ABS, etc. Initially Tata Motors had launched the Manza variant in 2009 and it proved to be a good sedan both for the consumers and for the company. And in the year 2012, they have introduced the new Club Class to go with the original tag name of Tata Manza. 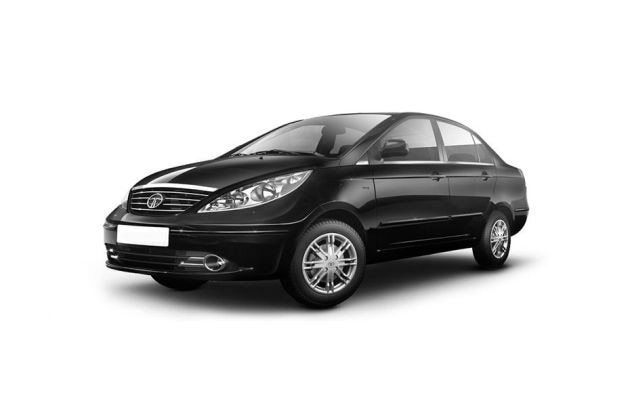 Now the name itself present that this new Tata Manza Club Class Safire90 LS is filled with many high quality and class features. This is the second generation model and is based upon the same Tata X1 platform. Under the hood it comprises of a Safire 90 petrol engine that packs up lot of raw power and performance just waiting to be explored. From the outside, not many changes have been done on this variant as it looks quite similar to its predecessor. The dimensions are all the same and comprise of steel wheels, linings of chrome, clear lens headlamps. However, the interiors have got a lot of new additions and they feel more spacious too. Many comfort as well as safety features have been included despite the fact that this is the most basic variant of all. Overall, this car is sure to give a competitive fight to other sedans in its class.